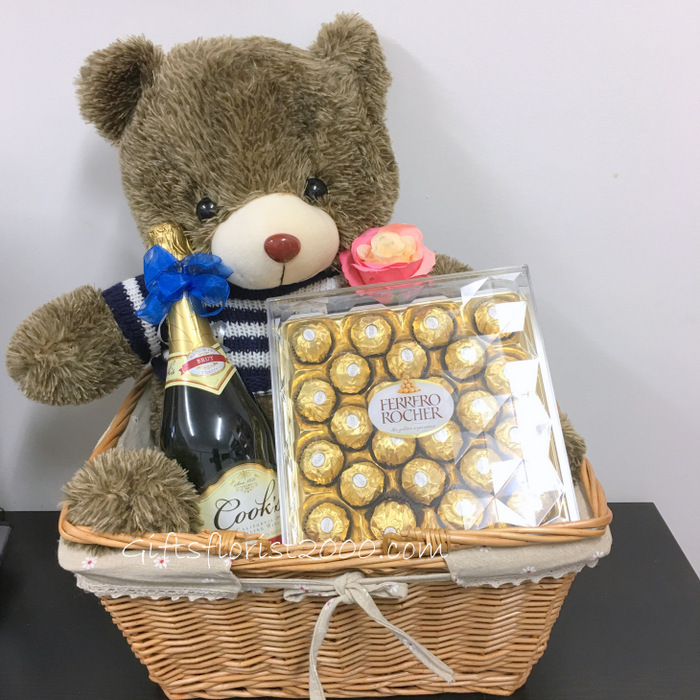 Celebrate the important date with your beloved one with our incredibly handsome Champagne & Teddy Bear gift basket. 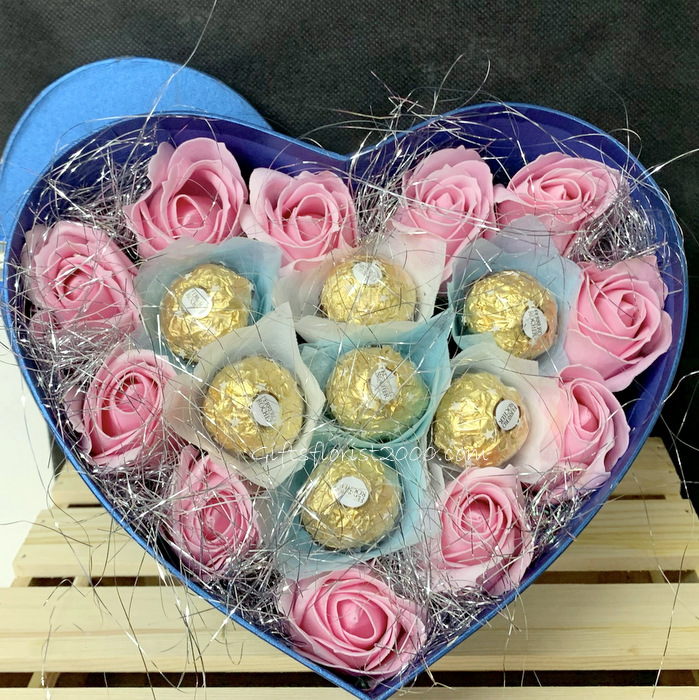 Spoil that special someone with a delicious assortment of decadent chocolate and sweets including: Ferrero Rocher Chocolate T24, an adorably big lovely teddy bear (about 35cm in height) and a bottle of champagne or sparkling wine. 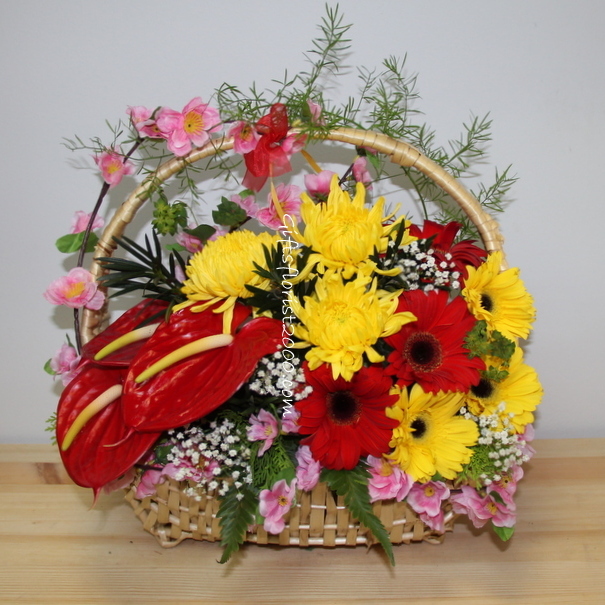 The container basket may vary. 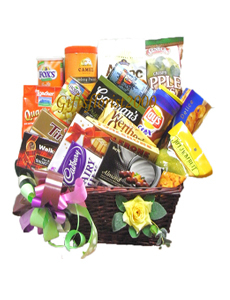 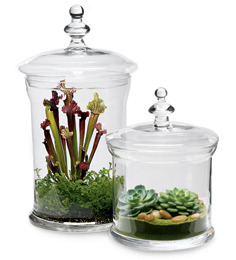 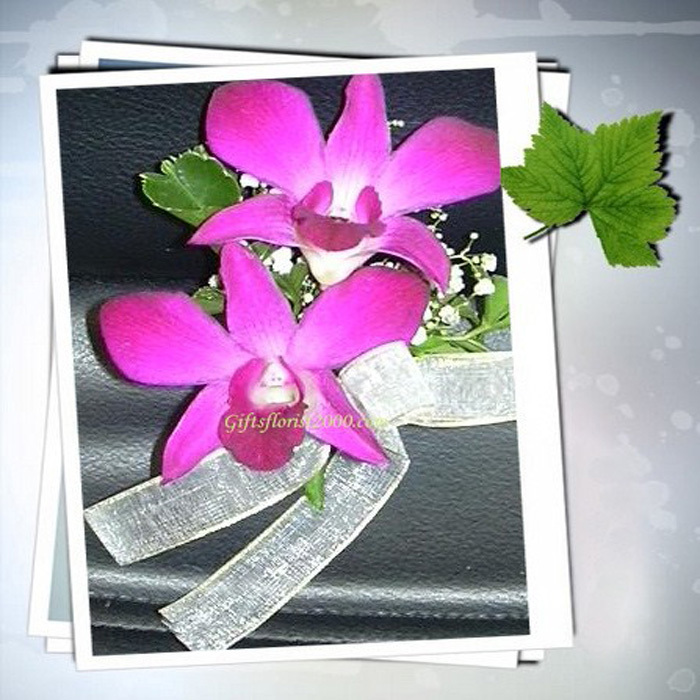 The gift basket is also suitable for anniversary gift, birthday gift, valentine's day gift.